iTel iT1556 the powerful itel SmartPhone that Comes with a large 5000mAh Battery and is said to sell for #20,000. Sincerely this smartphone would have been a goal if only they worked more on the ram, well iTel mobile decided its time to give her fans what they actually have been yearning for. 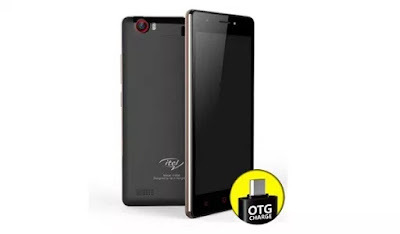 But this time in a more surprising way, they decided to give its lovers iTel iT1556 smartphone that can last days on a single charge, not only does it come with large battery, but the most enticing part of it all is the price at which it is said to retail ( #20,000). Recommended ; Infinix Hot S X521 the smartphone that compete with the rest. itel1556 is said to come pre installed with android 5.1 lollipop with provision for dual SIM. A quick look at the Full Specifications. There you have it, to me the iTel iT1556 isn’t much of my thing thou aside from the very large battery capacity that being said the itel iT1556 isn’t bad as well.